Here’s a definite blast from the past for me: this was the first book I ever read for a book club, back when I was thirteen. I know it’s old, but if there was a canon for young adult literature, this book would definitely be included. I like to think of it as 1984, the young adult version. Jonas lives in a utopia; there is no crime, disease, fear, or sadness. However, this means there are also no choices. After all, if there were choices, someone might make the wrong choice! When the children in the community turn twelve, they are chosen for their future professions. A panel of community leaders decide what job the children are suited for, and they begin training. When Jonas turns twelve, he is assigned a very special and rare position of Giver. The Give has a very important task: he must hold all the memories of the community. Jonas begins a painful training, where he must receive all the collective memories of the old Giver. He learns, through the memories, about war, suffering, grief, but also birthday parties, love, and Christmas celebrations. Along the way, he learns the dark truth, and soon is forced to choose between duty and freedom. The language in the book is simple, and the plot is straightforward, but don’t let that make you think this is a light book. I like that the text and ideas are so accessible, but that it has very clear literary elements that lend themselves naturally to discussion and exploration. This is a great book for teaching how to analyze a text. The ending is certainly open to debate, and that vagueness is something that younger readers may never have encountered before. It’s a good book to start out a literature exploration with. If you haven’t read any Lois Lowry books (a superstar of YA Lit), this is the one to begin with! Lowry, Lois. 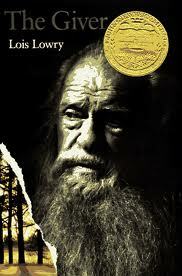 The Giver. Random House: New York, 1993. 179 pp. Ages 11 and up. ISBN: 978-0440237686. If you liked this book, Lois Lowry has written two companion books to go along with it. Check out Messenger and Gathering Blue.